The nostalgic range now stocked in Myer, Kitchen Warehouse and available through independent retailers features the much-loved gumnut babies coupled with the distinctive quality and style of the Ecology Brand. The May Gibbs by Ecology capsule pulls on heart strings as we remember our childhoods with May Gibbs’ stories and invite the timeless gumnut babies into our homes once again. 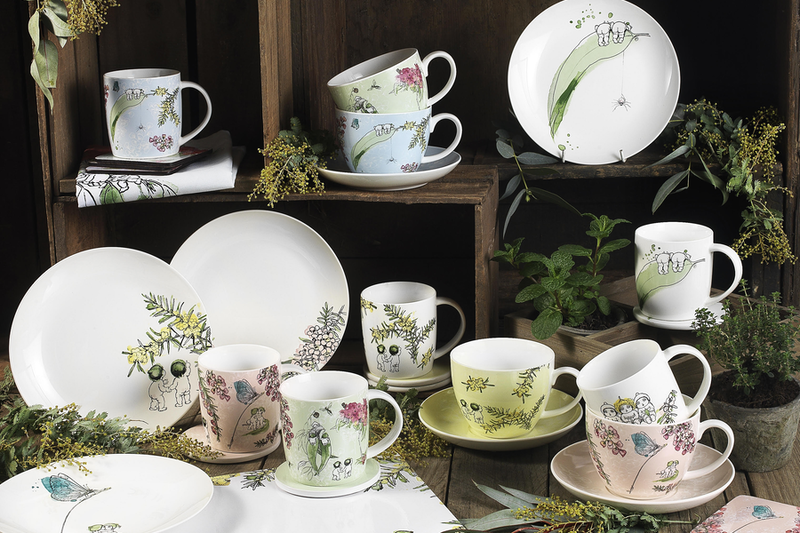 Boasting 59 pieces in the range, the collaboration includes mug and coaster sets, side plates, cup and saucer sets, placemats, coasters, aprons, pot holders, oven gloves and tea towels. Also included are ceramic decorations, bunting, wall hangings, children’s cup, bowl and plate sets, children’s cutlery set, as well as double handled mugs and children’s chef sets including apron, hat and glove. The range also features a shower cap, tote bag, cosmetic bags, toiletry bag, gardening tools and gardening gloves.